Rustic style from an unlikely source. If you have a fallen tree on your property, the extra logs can be more than just firewood. Consider transforming the wood into something a little more creative – like a planter. With the right tools, you can turn a plain log into a rustic succulent planter. Use this unique piece to dress up your front porch and be the envy of all your neighbors. This log happens to be a piece from a sycamore tree. But most any wood will work. The great thing about using a log is that it’s part of the natural environment and won’t add to landfills when you’re done with it. Plus, logs naturally absorb water and help feed your plants. If you don’t have a fallen tree to source your log from, check with local garden centers or lumber yards. What kind of tools do I need for this project? If you’re handy with power tools, we recommend using a chainsaw; and it’s the method we’ll be discussing for the purpose of this tutorial. It makes for a faster job and doesn’t require as much elbow grease. But be sure you’re taking the proper safety precautions such as ensuring you have stable footing and clearing away any dirt or debris from the log before beginning. Wearing the right protective equipment is also essential, such as safety goggles, hearing protection, gloves, and proper clothing. 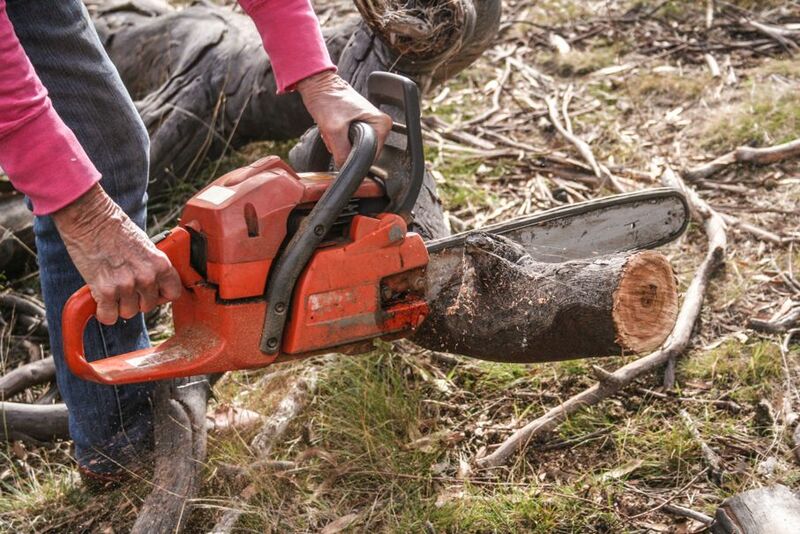 If you don’t have access to a chainsaw, hand tools will also work – but will make the project a little more labor intensive. If you go this route, you’ll need a curved blade saw to cut out the opening, and a wood chisel and hammer to carve out the log. How do I hollow out my log? Using a chainsaw cut a rectangular shape along the log, indicating the area you want to hollow out. Cut grooves along the length of the rectangle to make the wood easier to remove. 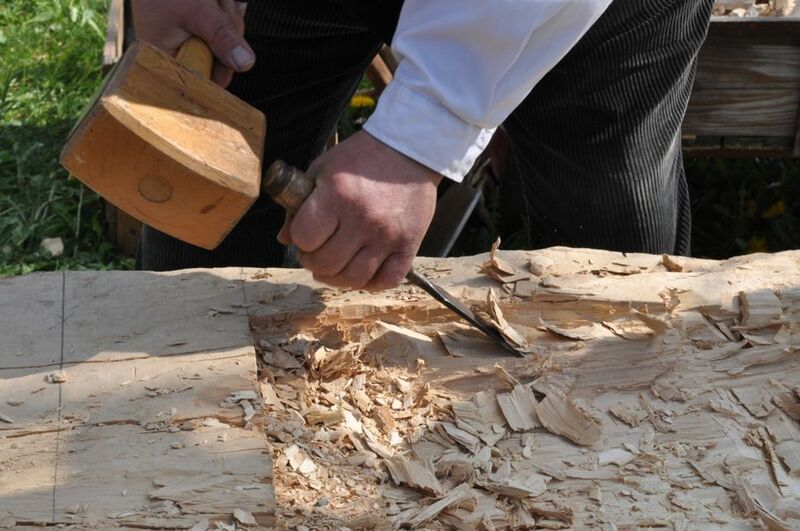 Then, slowly carve out the wood within the rectangle with the chainsaw, similar to carving out a watermelon. In a few spots at the bottom of the hollowed area, drive your chainsaw all the way through the log – creating draining cuts. How do I plant the succulents? After your log is hollowed – it’s time to start planting. Fill the planter area about 3/4 full with potting soil. Moisten the soil before planting. The secrets to a good succulent garden are variety and fullness. Purchase several different succulents to fill your planter completely. Choose contrasting shapes and colors. Start by planting the largest succulents sporadically throughout the length of the planter, then fill in all the gaps with the smaller species. How do I care for my succulent planter? The number one rule to remember with succulents is: don’t overwater. Succulents don’t require a lot of water because they store most of their nutrients in their leaves. Overwatering will cause root rot, and that will kill your succulents. Only water when the soil is completely dried out. A log planter will add rustic charm to your porch, and using succulents will enhance the look with chic modern style. Try this environmentally friendly project, and you’ll never go back to boring store-bought pots again.